There is no greater gift than the gift of giving. From tragedy to triumph, the Jett Travolta Foundation is a majestic beacon of hope for many charitable organisations, with the vision of helping and supporting a wide range of charities, focusing on relief for children with vision, hearing, mobility, communication and behavioural and learning disabilities. It doesn't end here; there is an innate hope to give back to charities across the board that aid children and even adults with broader issues across the special needs spectrum. Jett Travolta's legacy has touched so many people's lives over the years; the loss of a child can never be fathomed and certainly their memory can never fade, but it is the way that grief is dealt with that ultimately shapes the future for everyone. A glimmer of light in a sinking world of agony is undoubtedly what led this Foundation to its frution and from the hard work that has been put into this Foundation since day one, it's truly a special one. Jett's story and the determination of his family to create a Foundation to give back has helped well over 100 charities, for children and adults worldwide, from disaster relief, to theatre projects, youth guidance and much more. We have all been children; we possibly all know a child in our lives, we understand their vulnerability, we know their need for support, comfort and ultimately, the quest for a good start in life, to help build their future. 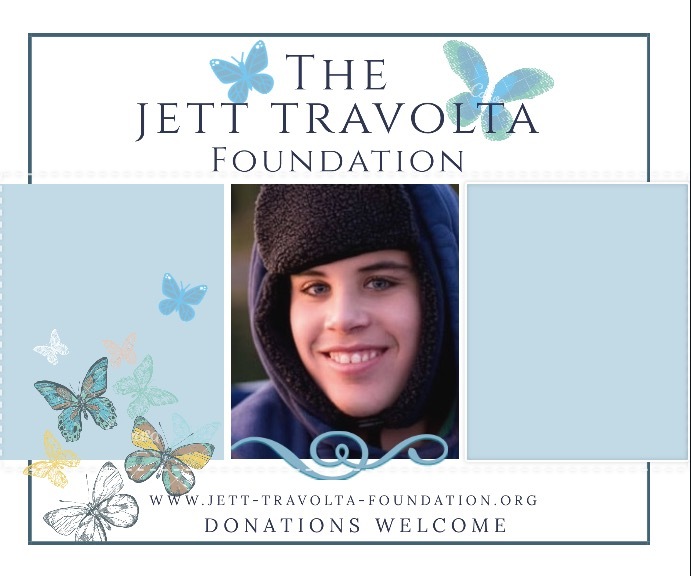 The Jett Travolta Foundation would be very happy for any donations, to ensure they can cotninue to do their great work. And to visit their website for more information and to see a comprehensive list of the charities they have already donated to, click here. York is the epitome of elegance; from its stunning architecture, to the historical shambles, quaint windy streets, beautiful shops filled with treasures, and so many spots to sit and soak up traditional English culture. If you're looking for a UK weekend break, with fun, culture, and a good glass of vino (by the river Ouse if the weather is good enough), York is the place to visit. I was fortunate enough to spend a night at The Grand Hotel & Spa York, which, from start to finish of my stay, I felt like royalty. It is Yorkshire's only 5 star hotel and is leading the way as far as luxury and hospitality goes. Glancing out of your window and catching sight of the incredible York Minster is always such a joy, and one of the highlights of York itself. The hotel is every bit as classy as you could imagine, with customer service at its core. With a warm, regal welcome, the hospitable staff at the hotel were incredibly friendly and respectful, helping with luggage, and after stepping out of the car feeling utterly exhausted and deshevelled after a busy day, I still felt incredibly special. First impressions are everything and it isn't difficult to see why this hotel is 5 star, and with a quick and easy check-in, helpful staff, it's already gone onto my favourites list. If you're looking for elegance in a hotel, The Grand is your place. Our twin room was both plush and classy. With a touch of class everywhere, from the colour schemes, and the coffee making facilities you wish you had at home, lots of choices in the mini bar, and cleanliness ranked very high. It was spotless. Home away from home is vital when you're travelling; especially if you're travelling often. You need to feel relaxed, safe and with a true element of luxury. The Grand Hotel & Spa is in the heart of York, and everything ready to explore on the doorstep. All the ameneties were provided and anything additional can be requested at the front desk and they will do their best to assist. It's the perfect place to bring your laptop, drink a vanilla latte and be inspired. Books and magazines on hand, there's always something to pass the time and the decor was a beautiful beige neutral with crimsons and wood finishes, feeling super cosy yet modern and stylish. The attention to detail was noticed from start to finish, with the range of toiletries being from the lavish Molton Brown, including a stunning room spray for evenings to relax you; everything is perfectly in its place to ensure a comforting, cosy and warm stay. The Rise Restaurant is ultra plush, copper and wooden tones, with modern art, comfy soft chairs and the tasting menu is absolutely incredible. You can choose as many dishes as you wish, but 6 for two people is recommended. Carefully crafted food with delicious delicate tastes, the cuisine is a deluxe special treat, it is fine dining at its best and better yet, the tasting menu offers many smaller dishes, like tapas almost, so you are able to get the best tasting experience. Nothing was over flavoured, or under flavoured, it was also incredibly aesthetically pleasing and the chicken melted like butter in your mouth, incredibly delectable and the smaller dishes still filled you like a large plate. Vegetarian, gluten free options are available; with five star care and treatment, nothing is too much trouble. After opting for a cocktail, I came to realise there are definitely no short measures, and the perfect atmosphere for a cocktail (or two)! The spa check in is simple and easy. The keys to your locker are given at the desk, along with towels; then sit back, relax and enjoy the atmosphere. With a steam room, sauna and jacuzzi, you can really enjoy your me-time and with the sultry mood lighting, the ambience is incredibly zen. Purples and oranges, make for such a relaxing atmosphere, with drink facilities, and chairs around the pool, there is always somewhere to sit. Ideal for couples, lone travellers, or families, the atmosphere is relaxed and the helpful staff will be there to give you any advice you wish; they do offer treatments but booking in advance is best. The spa also has changing facilities, including hair straighteners, which is ideal for the ladies and a big bonus if you're heading straight out from there. The day spa is open to non-residents at £20 a day, which is perfect for a lazy weekend day out, and pop into the Whisky Bar afterwards for a cool beverage after your stay. York never disappoints, from culture, to museums, to river walks and shopping, it has so much to offer, and with The Grand Hotel & Spa York sat right in the centre, this is a perfect choice whilst staying in the city. For more information on the hotel's gift vouchers, click here, and make someone feel very special with an afternoon tea or spa day luxury! It was almost impossible to find any faults with my stay, and I will definitely be back, that is for sure. So take the plunge, and click here to book that weekend break you've been desperately wanting! *I was kindly invited as a guest of the hotel, but all opinions and words are my own. Greece is by far one of my favourite places on Earth. Full of hospitable people, delicious food, olives and feta for breakfast, lunch and dinner, and unforgettable views that become engrained in your mind and soul, Greece is a brilliant destination. After exploring mainland Greece and visiting the beautiful Athens, I had a yearning to come back to see more; and this time my travel plans are to visit the islands. Specifically Corfu. Here is the ultimate guide I’ve put together for my trip to Corfu and some things to plan before you go to make your trip smooth running and enjoyable. For accommodation, my ultimate goal is to get a real taste of the island and island life, by renting a villa. 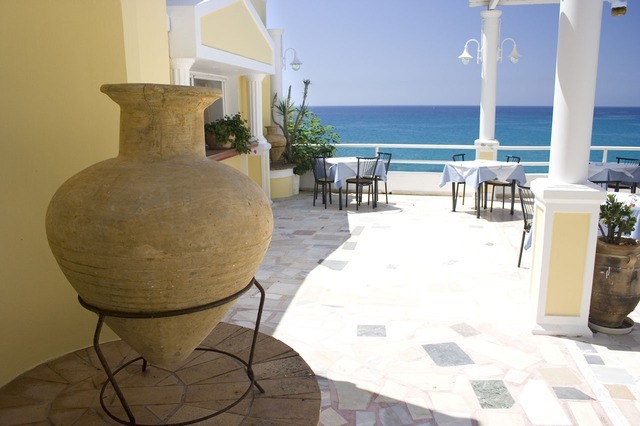 For the true taste of Greek island life, coming home with your tote bag full of groceries, and eating outside overlooking the still, serene waters, is exactly how to experience it. Have privacy and contentment, take life at your own pace, and be sure to take a dip to cool off in that hot summer air. That is for me, exactly the perfect Greek island trip. Corfu is specifically known for its friendly tourist atmosphere, plenty of things to do and see. Take a peek below to the ultimate guide. Getting around Corfu is not overly difficult depending on what your goal of travel is. Hiring a car can be beneficial if you would like to see the island in its entirety, but be sure to consult maps for parking arrangements before you go. Cars can be picked up at the airport. If you want to take the bus, be sure to make sure you know the times, by asking, as they can change often, but it is a cheap and cheerful way to get around from old town to the beach. If you are feeling a little more adventurous and want a taste of luxury, especially if you are in a larger group, then hiring a motorboat is the ultimate for those warm afternoons when you need a cool off and relaxing before heading back to your villa. Old Town Corfu is particularly popular with the sightseeing tourists, who would love to capture a bit of the culture as well as soaking up the beautiful coastline. It is unbelievably quirky and beautiful in the Old Town, and you do not need a map, have a little explore on foot, like most parts of Greece, the more you see on foot the better, especially to reach those beautiful high points for Instagrammable views. There are outdoor activities, from hiking and a scuba centre, where you can hire equipment and go scuba diving in the crystal seas. For the more low key tourist, who isn’t so hyped for energetic water sports, the island boasts many museums, such as the Andivouniotissa Museum, which is €4 entry and open Tues-Sun 8:00am until 2:45pm; and there are plenty of other choices with a multitude of different cultures to learn about; with Corfu’s rich history and ties to Italy and France. You will never go hungry in Corfu. Plenty of taverns but some top picks are Avli Restaurant, Taverna Bikolis and if you want to splash out a little on a special holiday meal, then the luxurious “The Venetian Well” is surely a good place to start, with some Mediterranean cuisine and a bottle of chilled fine wine. After your long days searching the cities, tasting the culinary delights and enjoying a little ouzo and traditional Greek dancing, take a leisurely stroll back to your villa, and retire for the evening. For more information on the best villas, take a little peek at Clickstay for more information, and make your trip to Corfu a holiday to remember. There are plenty of other Greek island locations to browse through, from classic Santorini or Kefalonia, or even mainland in Athens (well worth a visit). Click on the photo to book a villa! Have you ever been to Corfu? What are your top recommendations? Why Not Give These Underated European Destinations A Chance? Europe is full of a staggering amount of extraordinary holiday destinations and attractions. It's the sort of place that's so large and so rich in history, culture and natural beauty that it would be impossible for anyone to experience it all. This leads a lot of people to focus on the most well-known things that Europe has to offer. But this means that they end up missing out of some of the continent's most extraordinary features. Here are just a few of the hidden gems that Europe has to offer that you won't want to miss out on. It's an utter crime that so few people are aware of the Eastern European country of Slovenia. Put simply; this is one of the most extraordinarily beautiful countries in the world. The scenery is really the highlight here. With idyllic lakes, icy waterfalls and towering, frozen mountains. The jewel in Slovenia's Crown has to be Lake Bled. Lake Bled is filled with activities for people of all ages and means that you're never short of something fun and exciting to do. No matter what kind of vacation you might be looking for, you're guaranteed to find something wonderful in Slovenia. How could you not want to visit somewhere that's known as "the land of ice and fire"? The idea of going somewhere that is known for its low temperatures might not be that appealing, but those fears will slip away the moment you step foot in this amazing country. The truth is that it's like walking into a fairy tale when you arrive. Whether you want to experience the summertime's midnight sun, refresh your body and spirit in the geothermal baths, experience the beauty of the northern lights, or witness Icelandic whales gliding through the ocean, Iceland is the kind of place that you could go back to year after year and never even begin to feel tired of! People always tend to forget about Ireland when they’re planning any kind of European trip. The truth is that Dublin is one of the most wonderful, exciting, and vibrant cities in the world. There are so many things to do when staying in Dublin that you’re likely to want to come back as soon as possible to finish it all off. Just be warned, unless you pick your activities carefully, you could end up spending a little more than you initially planned. Now, don't worry, I know that Venice is hardly an unusual destination. But even well-known places have something interesting to offer. If you've ever been to Venice, you've probably explored it in a gondola. Well, what if you tried exploring the city in a different way? If you're more in the mood to take things at your own pace and get a real close up view of the city, why not explore it in a kayak. That way you get to dictate where you go and at what speed. In the other direction, why not take a helicopter tour and experience the city from the air. A bird's eye view will give you a totally new perspective on somewhere you might have thought of as all too familiar. If you're after something truly amazing, then the northernmost Swedish town is perfect for you. The main reason that this Lapland town is so beloved is the Ice Hotel. This hotel boasts eighty gorgeous rooms and is only open during the winter. Why is it only open during the winter? Well, the clue is in the name. Each spring the hotel melts and must be rebuilt each year. If you want a little more out of your accommodation than the typical chalets and hotels, then Kiruna is the place for you. The truth is that there are so many wonderful places to experience in Europe that you’re likely to never run out! Because of that, don’t be afraid to try some new places that you might not be quite as familiar with. There’s a good chance that you’ll end up with a new favourite place in the world! China is a travel bucket list item for a lot of people and for good reason. There are many reasons why people are scared to travel to China, but the positives definitely outweigh the negatives. A few fears that I have heard about from people are: being scared about the language barrier, being scared of the food (food poisoning and not liking the food), the air quality since China is such a polluted country, the toilets, and many other things. Well, I am here to tell you to stop being so scared and just go for it. Do your research, plan out your trip andcross off China from your bucket list! There are so many things to know before travelling to China, so make sure you reserach like I mentioned above, but here are a few things that I have put together that you should know. China is extremely tourist friendly. A lot of people do speak English, but when you run into someone that doesn't, don't worry. There are many ways to communicate - I usually use my hands a lot, which always works, but there are also many apps that help with translation, even when offline in another country. Although I wouldn't be too worried about it, I would learn a few key phrases or words, like "Thank You", "Toilet" and "Hello". The currency in China is the yuan and while a lot of places do accept Visa and Mastercard in China, cash is always preferred, especially when going to smaller busiensses. Don't forget to tell your bank that you are traveling to China. If you do end up using your cards without letting them know, they could deny your requests. This could get extra tricky if you do not have phone service and/or internet whilst you are travelling. You cannot drink the tap water in China! Make sure you always drink bottled water while travelling to China. Toilet paper is not a "must have" for public bathrooms in China, so make sure to bring your own. I usually carry around a small packet of tissues to add to my travel bag. Also, a lot of public bathrooms do not have soap, so pack the hand sanitizer also. Cars have the right of way in China, not pedestrians! Chinese drive a lot differently than we do, so be careful. 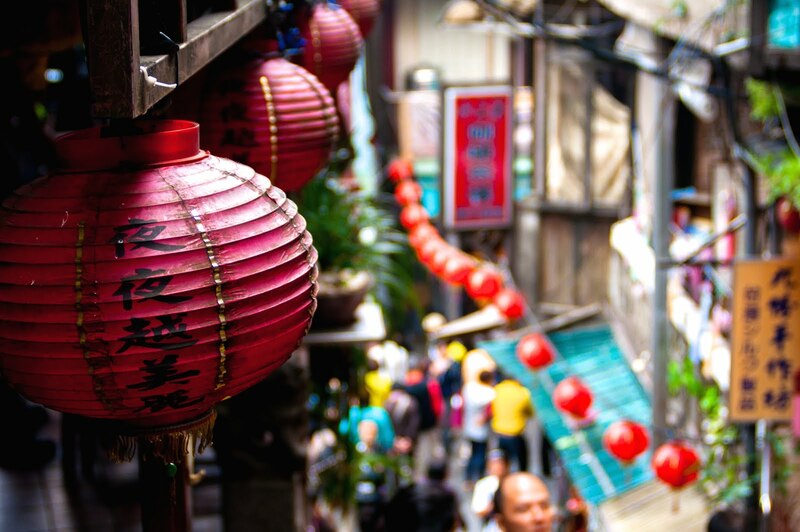 China is very crowded and locals are used to pushing their way through the crowds, so don't worry if you are being shoved - it is part of the culture, but make sure to always conceal your valuables to be safe. Beijing - The Forbidden City used to be home to emporers and advisors - it did not allow the public in, but now it is one of the most-visited places on earth. According to Skyscanner, there are nine million bicycles in Beijing, so biking is always a fun way to see the city. XI'an: XI'an is the capital of Shaanxi Province, the People's Republic of China, so it's a great place to see. Some of the attractions found in XI'an are the Famen Temple, Big Wild Goose Pagoda, and the Bell Tower. Shanghai - Some think that Shanghai is the world's greatest city, for many reason, so it is definitely a must-see when travelling to China. Hong Kong - Situated on the southeast coast, Hong Kong is a SAR or a Special Administrative Region of the People's Republic of China. 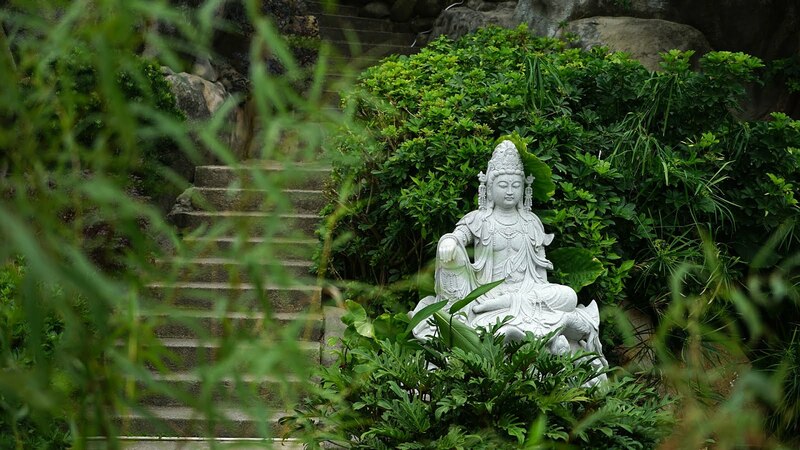 Some of the top sights in Hong Kong are the Peak Tram, the Man Mo Temple and Lai Chi Wo. When you go to China, make sure to soak up all of the sights (and food) because this trip is something that will make a million memories that will last a lifetime. Also make sure to bring back a few great souvenirs that will remind you of your travels. One special souvinir that I love is a sword from Swords of Northshire. Hand forged in Longquan, China, this is the perfect item to purchase to remember your trip because you can display it on your wall for all to see. Swords of Northshire offers an option to customize your Katana so you can make it exactly how you like! You can choose the blade's material, scabbard, length and other features like engraving. 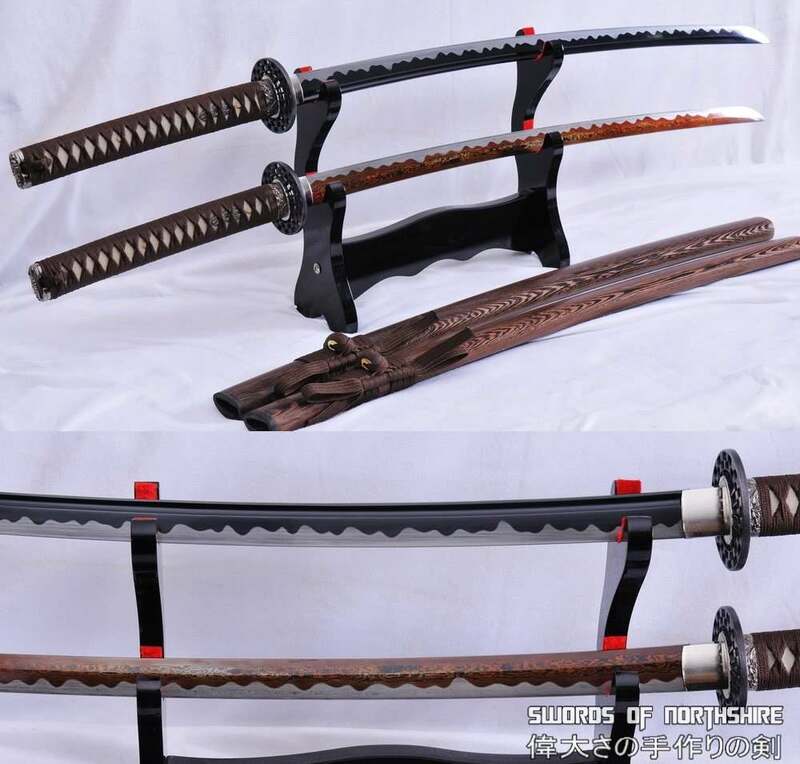 Don't worry though, if you have no idea where to start, they have a sword glossary to help you with understanding exactly what you are doing and they also have Samurai Swords that you do not have to customise. One benefit from ordering from Swords of Northshire is is their customer service. They offer a 100% money-back guarantee if you are not satisfied with your product, for thirty days after your purchase. They offer complete replacement, re-shipments and also refunds. This shocked me because most companies do not offer this kind of customer service. On top of all that, they have free shipping! Placing a sword from Swords of Northshire on your wall would be the perfect way to showcase your souvenir from China, so that you will think of your trip every day. Are you planning a trip to China or have been recently? What have you learned or want to learn? Museums come in all shapes and sizes and occupy buildings that have had various uses. There are some that are in purpose-built venues, but the one thing most of them have in common is they are no longer regarded as stuffy old places that are boring. The Natural History Museum in London welcomes millions of visitors every year. There are exhibitions that you will not see anywhere else in the world, and the museum caters for all ages. There are things to thrill the children as well as plenty of things for adults as well. It is located in a purpose-built venue, which in itself is something well worth seeing. This inverted pyramid looks as though it is defying the laws of gravity. It’s the kind of place that has you working out how to get a loan with bad credit just so you can see it at any cost. The displays are artefacts from Hanoi’s 1000-year history, as well as things showing the culture and heritage of Vietnam. With over 50,000 pieces on show, some say it is worth visiting to see the outside of the building as well as the inside. This red brick building, which is located in Red Square, was built in the 19th century. The exhibits trace Russian history from prehistoric times to the present day, a collection said to be worth many millions of pounds. These include a longboat, which was excavated from the banks of the Volga River, manuscripts dating back to the sixth century, and gold artefacts of the Scythians. The Louvre is officially the world most visited museum. As it houses such masterpieces as the ‘Mona Lisa’ and ‘Venus de Milo’ that should not really be a surprise. Even if you had to sell everything you own to get there, you’d probably think it was worth it. Since it was first started, the building has been added to in different eras. The 60,000 square meters it covers shows all the various architectural styles from the different ages. The largest collection in the world of impressionist and post-impressionist masterpieces can be found in a renovated railway station in Paris known as Musee d’Orsay. The building has been altered as little as possible and as well as all the fine pieces of art, the building itself is very impressive, with all the station clocks still in working order. For a long time, the Royal Ontario Museum in Toronto, Canada has been the most popular museum in North America to visit. It caters for all ages with exhibitions and workshops for children and adults. The building itself causes some debate. Some consider it to be really beautiful, while others have declared it to be the ugliest building in the world. Often when visitors tour a museum, they are so engrossed in the displays that they fail to look at the building around them. These can be just as important to history as the artefacts on show. Some are in old railway stations, some are in medieval ruins and others are in buildings designed especially to house them. Which is the case in the museum you are visiting, stop and look at the architecture, you might just be surprised how good some of it is. Which one will you see first? Faro is undoubtedly a perfect summer holiday location. With the whole of the Algarve at your fingertips, driving down the coast is easy, or setting base in Faro is also a good bet, as there are still plenty of beach spots, as well as lots to see whilst you're there. Faro is the capital of the Algarve and all flights to the area stop at Faro. The first top points of Faro would be, things are comfortably affordable. Taxis into the main area of Faro from the airport are around 10-15 euros. The average meal is around 11-13 euros but you can get much cheaper if you're just wanting snacks and light bites and public transport is also very good indeed. If you're coming here for the sun only, then you are definitely in the right place. With highs of around 30 degrees in the summer, it is a brilliant place to soak up some vitamin D and get a lovely tan. However, there is so much more to Faro than it's long beaches. Faro Old Town was by far my favourite part of the city. A little reminiscent of Prague in parts, and Plaka (Athens) in other parts. With little treasures found and pretty hanging flowers and trees, it's a lovely place to explore on foot and there is a stunning Cathedral and plenty of taverns to stop for a little drink break. There are also art galleries and museums, although they are small, but a nice break from the heat. Finding quaint and pretty streets is never too difficult when you're in Europe. It's a guarantee that you'll find some spots that really resonate with you and you just have to get out the camera and start snapping! It's hard to pick a specific place because there are so many taverns and bars that I wanted to try and didn't have time to. There are so many places to eat, and many different styles, too. Of course there is also a McDonalds in case you need a quick burger and fries fix, and there are a few little shops nearby the main marina that you can buy snacks in. During the summer, eating full meals can be a little heavy, but keep up your fluids and always keep a bottle of water on you at all times. This little Mexican bar was a particular favourite for traditional nachos and any kind of Tequila you could want! This little bar was called Guaka. So artsy and perfect for a pit stop. There are plenty of trips and activities to do in The Algarve. From jet-skiing to boat trips, there is plenty to do. There are lots of sales reps on the streets offering leaflets, some reps wait at airport arrivals, as there are some water parks nearby that are popular with tourists. Hotel Faro offer trips to residents, such as a boat tour of the nearby islands and free shuttle bus to the nearby Praia de Faro. Praia de Faro is situated about ten minutes south of the airport. With long beaches and many beach clubs and houses, you will not go hungry or thirsty. Plenty of places to buy beach towels and supplies and a definite spot to check out. The airport shuttle bus makes a stop here then into Faro centre. You can pick up affordable train tickets to neighbouring cities, as Faro is reasonably small and if you are wanting to sight-see, then I highly suggest taking a few trips out of the city to get the most out of the Algarve. Flights to and from Faro can be picked up at a relatively affordable price. The budget airlines such as Jet2, RyanAir, Monarch airlines and Easyjet have regular flights from the UK to here. The peak of the season is July but that is also when it is at its hottest, in Portugal. Opting for an autumn getaway here would mean you get some lovely heat, but without the sun too strong and a little less tourism. The beaches are a great place to relax here, but you can be easily deceived by the strength of the sun by the sea breeze. Have you been to Faro? What are your favourite places to visit whilst you have a relaxing break in the Algarve? 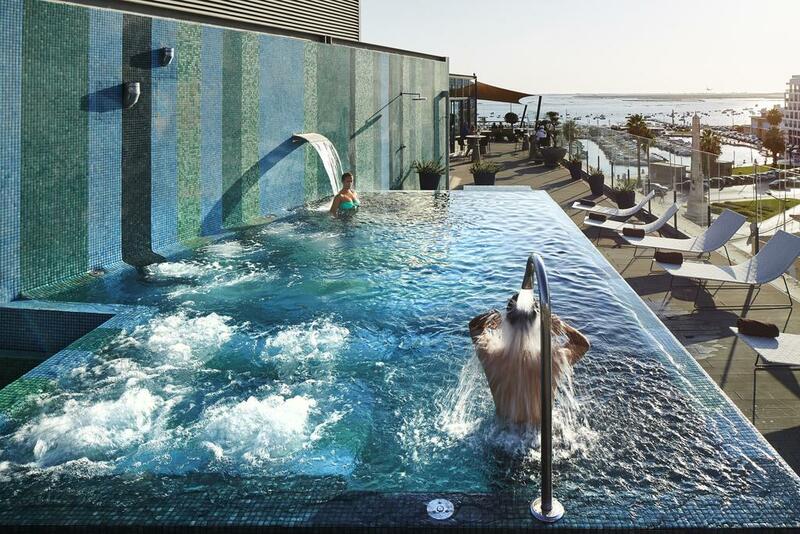 Click below to read about my hotel review of Hotel Faro.